Publicasity has been appointed PR agency for Jurys Inn and Leonardo Hotels in the UK and Ireland. The Jurys Inn hotel in Nottingham. It is the second major win for Publicasity in a week after picking up Japanese watchmaker Seiko. The agency will focus on promoting the hotel chains’ UK presence, with 36 properties under the Jurys Inn brand and nine under Leonardo Hotels. Publicasity will support both brands by showcasing hotel news, launches and review stays across consumer media titles, all while promoting the wider Jurys Inn Stay Happy brand manifesto. 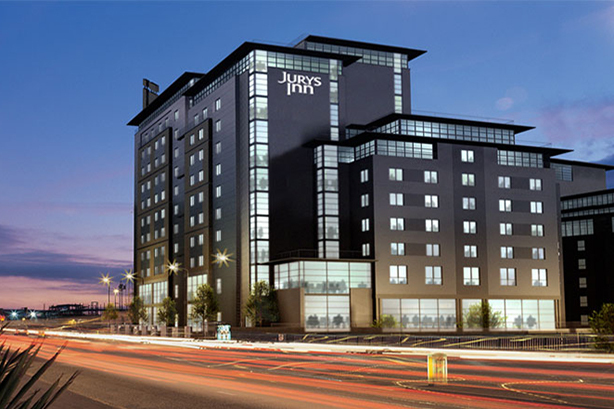 Jurys Inn hotels are dotted across prominent towns and cities in the UK, Ireland and the Czech Republic. Leonardo Hotels is a rapidly growing hotel chain in Europe and recent entrant to the UK hotel market. Its nine British hotels are primarily located in Scotland (Edinburgh, Glasgow, Aberdeen and Perth), with properties also situated in Southampton, Manchester and at London Heathrow. The account is headed up by Publicasity managing partner Paul McCaffrey. "The Jurys Inn brand ethos of small details amounting to something incredible really resonated with myself and the team and we were excited and invigorated by the brief presented to us," McCaffrey said. "With a busy expansion schedule for 2019, we are eager to help these forward-thinking brands expand in the UK consumer travel and hospitality space." Jurys Inn and Leonardo Hotels are both members of the global Fattal Group, which operates 200 outlets across 17 countries.